The hotel where the officers resided was owned by a certain Herr Brodnitzer, of a Silesian background; no one knew how he had ended up in the borderland. It was he who opened the casino. He hung a large notice in the window of the café. It announced that he had all sorts of games of chance, that a band would be “concertizing” every evening until morning, and that he had hired “renowned chanteuses.” The renewal of the premises began with concerts by the band—eight musicians hastily scraped together. Later on, the so-called Mariahilf Nightingale arrived, a blond girl from Bogumin. She sang waltzes by Lehár, plus the naughty ditty “When I wander through the gray dawn of a night of love,” as well as the encore: “Underneath my frock I wear pink and pleated undies.” Thus did Brodnitzer heighten the expectation of his clientele. 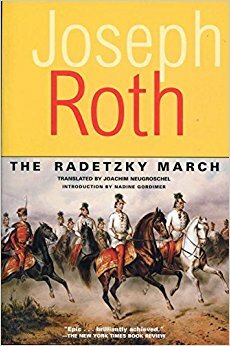 It turned out that along with the countless short and long card tables Brodnitzer had also set up a small roulette table in a shadowy curtained alcove. Captain Wagner told everyone about it, stoking enthusiasm. To these men, who had been serving on the border for many years (and many had never seen a roulette wheel), the tiny ball was one of those magical object of the great world, something that helped a man to suddenly win beautiful women, expensive horses, splendid castles. Who could not be helped by the ball? They had all spent a wretched boyhood in parochial school, a harsh adolescence in military school, and cruel years in borderland service. They were waiting for the war. But instead, the army had partially mobilized against Serbia, then returned ingloriously to the usual expectation of routine promotions. Maneuvers, service, officers’ club, officers’ club, service, maneuvers! The first time they hear the clickety-click of the little ball they knew that fortune itself was turning among them, smiling on this man today and that man tomorrow. Sitting there were strange, pale, rich, mute gentlemen such as they had never seen before. One day Captain Wagner won five hundred crowns. The next day his debts were settled. This was the first month in a long time that he received his pay intact, a whole three thirds. Then again, Lieutenant Schnable and Lieutenant Gründler had each lost a hundred crowns. Tomorrow they could win a thousand!